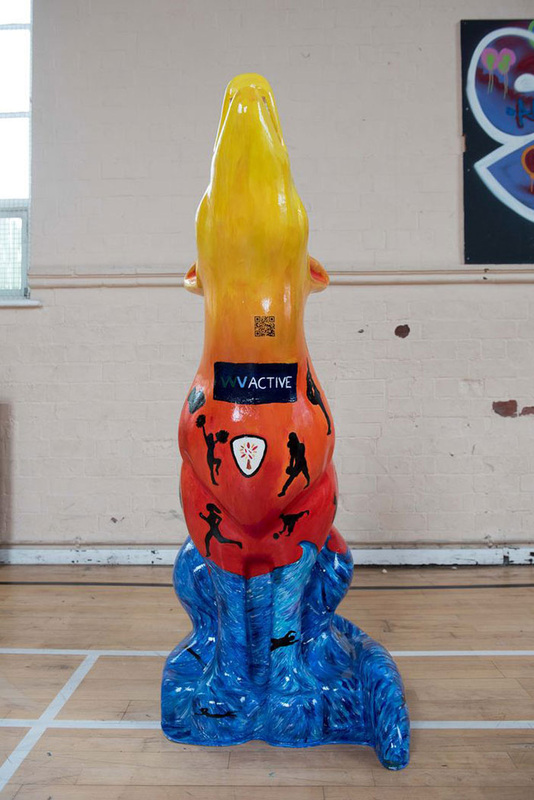 The initial inspiration for Zeus was to create a sports-inspired concept, as the wolf is sponsored by WV Active. Highfields school offers a vast array of extra-curricular activities and the students thought about the sports they enjoy participating in. to include in their final design. The students each chose their favourite sports and incorporated them into the design, such as rounders, football and gymnastics (to name a few). To demonstrate the variety of extra-curricular sporting activities we have at Highfields, we added our school crest. 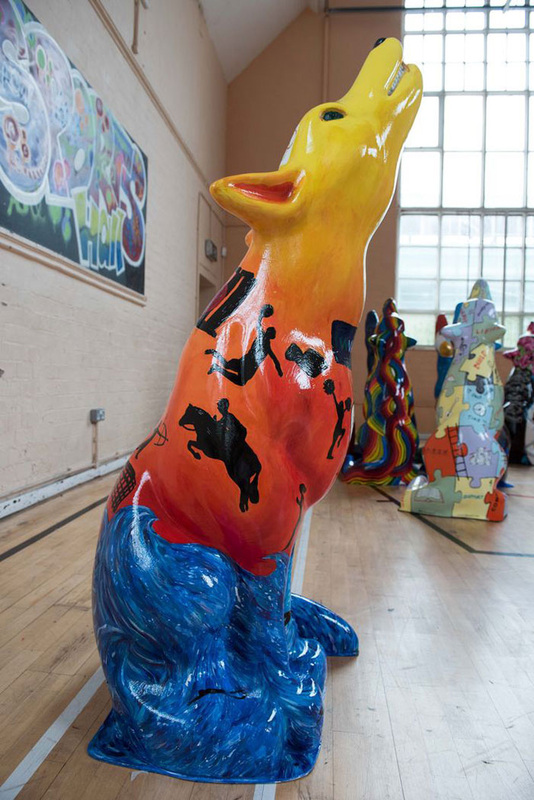 The water on the lower half of the wolf is inspired by the WV Active swimming pool. The design of the water was enthused by Tim Lam, an international painter originally from Hong Kong who uses colour to portray nature, like waves which we used. The sombre-effect background consists of warm tones like red, orange and yellow, which represent the Olympic flame and also compliment the blue from the water. 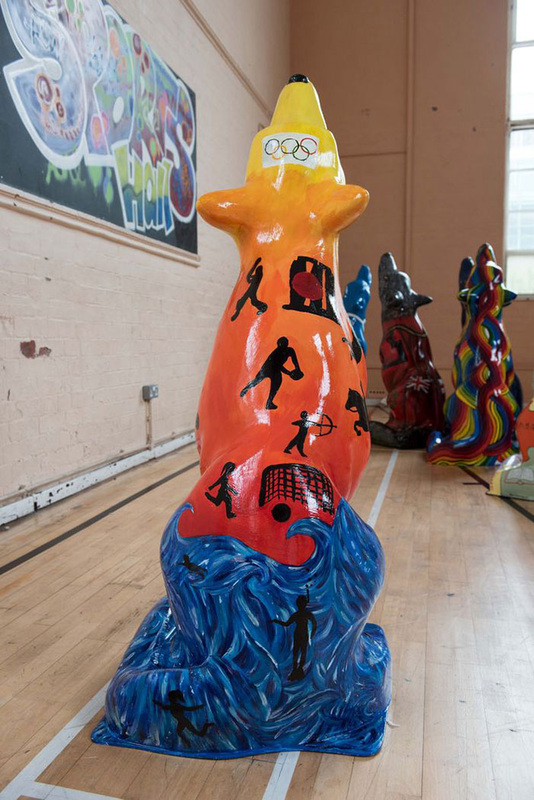 To further represent a larger sports community, we involved the Olympic rings as it is a big part of the UK.